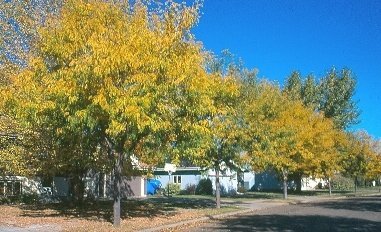 HONEYLOCUST - A medium to large spreading tree reaching 45 to 75 feet in height on good sites, adaptable to variable soil conditions. 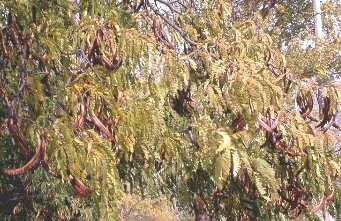 Foliage is pinnately compound, fruit is a long brown pod. 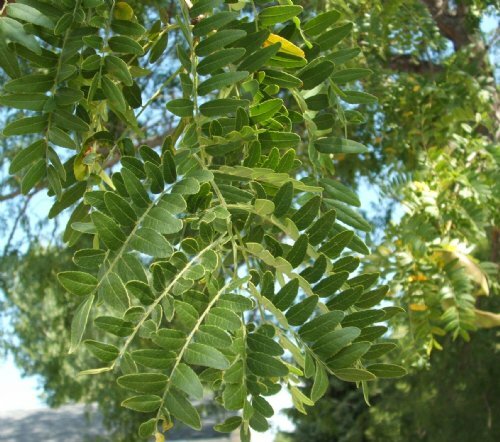 We produce hardy seedlings of the variety inermis, which are mostly thornless. Climatic zones 4 and warmer. Not hardy in zone 3. Native to the central and eastern U.S.